Because on our site are used of c. d. cookies for a variety of purposes, with this statement we want to explain what cookies are and how they are used on the site. Some cookies (c. d. own cookies or first party) are carried and controlled directly by us. Through these cookies, This site collects and processes certain personal data about you. In this policy, even within the meaning of ’ art. 13 Legislative Decree. 196 of 30 June 2003 (the “Privacy Code”), We explain how we collect this data, for what purposes and what are your rights. Other cookies (c. d. third party cookies), are, Instead, conveyed and controlled by third parties. About this statement you will find links to information published by these third parties, that please read carefully. Cookies are small text files that websites visited by the user ’ send directly to your Terminal (usually the browser), where are stored and then transmitted to the same sites the next time they visit the same user (c. d. its first-party cookies). In the course of navigation on a site, l ’ user can receive on its web sites or cookie also Terminal servers (c. d. third party cookies); This happens because the web site you visit may be present elements as, For example,, images, maps, sounds, specific links to web pages of other domains that reside on servers other than the one on which the requested page. In other words, are those cookies that are set by a web site other than the one you are currently visiting. Cookies may be of limited duration to a single browsing session on the browser (c. d. session cookie), in which case you turn off automatically when the browser is closed by the user ’; or they can have a maturity and, in that case, will remain active and stored in your hard disk until that due date, continuing to collect information during different sessions of navigation of the browser (c. d. persistent cookies). Cookies are used for different functions. Some are necessary so you can browse the site and make use of its functionality (c. d. technical cookies). Others are used to obtain statistical information, in aggregate form or not, the number of users who visit your site and how the site is used (c. d. tracking cookie or analytics). Other, Finally, are used to draw a profile of consumer and let you display advertisements on the site that may be interesting for you, as consistent with your tastes and your eating habits (c. d. profiling cookie). To know more in detail these different categories of cookies continue reading this informative. Find out how they work and what they do, and choose freely whether to consent to their use or prevent it. Cookies are used on the site for the sole purpose of enabling your browsing on the site and so you can use its functionality. They are always first-party cookies, as they are conveyed directly from us on site. Some cookies are indispensable for optimal browsing experience or ’ so you can log in on the site, for example, to make a purchase on the site or enter your reserved area (c. d. shipping cookies). Cookies are normally navigation session and, Therefore, Once you close your browser, are automatically disabled. Other cookies are useful so you can store some of your preferences (For example,, the language or country of origin) without having to reset in the course of subsequent visits (c. d. functionality cookies). For this reason, functional cookies are often persistent cookies, as they remain stored in your computer even after you close your browser, until the expiration date for them or until you decided to delete them. __atuvc AddThis This cookie is associated with the AddThis social sharing widget which is commonly embedded in websites to enable visitors to share content with a range of networking and sharing platforms. This is believed to be a new cookie from AddThis which is not yet documented, but has been categorised on the assumption it serves a similar purpose to other cookies set by the service. __atuvs AddThis This cookie is associated with the AddThis social sharing widget which is commonly embedded in websites to enable visitors to share content with a range of networking and sharing platforms. This is believed to be a new cookie from AddThis which is not yet documented, but has been categorised on the assumption it serves a similar purpose to other cookies set by the service. __cfduid CloudFlare This cookie is associated with the AddThis social sharing widget which is commonly embedded in websites to enable visitors to share content with a range of networking and sharing platforms. This is believed to be a new cookie from AddThis which is not yet documented, but has been categorised on the assumption it serves a similar purpose to other cookies set by the service. As provided by law on privacy, for the ’ installation of such cookies do not require your prior consent. Of course you are free to block the ’ cookie installation technicians, by changing the settings on your browser (read the paragraph and, n. 1 to know how to do). Considers, However, that, blocking l ’ cookie installation technicians, or subsequently by deleting the same, the ability to access the site, to use all or part of the same, to enable or disable certain functions or to receive certain services may be in whole or in part compromised. C. Tracking cookies or "analytics"
Analytics cookies are used on the site to collect statistical information, in aggregate form or not, the number of users who visit your site and how they visit the same site. Analytics cookies on this site are third-party cookies, because they are not directly conveyed by us but third parties are not installed directly by the company but by third parties. __utmc Google Analytics Not used in ga.js. Set for interoperability with urchin.js. Historically, this cookie operated in conjunction with the __utmb cookie to determine whether the user was in a new session/visit. __utmt Google Analytics Used to throttle request rate. Of course you are free to block the storage of cookies ’ analytics at any time, without the opportunity to visit the site and use of its content is in any way impaired. To know how to do, read the third-party cookie information by following the links provided in the table above. Profiling cookies are used to create your user profile, based on the preferences and tastes you experienced while surfing on the Internet, and let you display advertisements consistent with your profile. In this way the advertisements that you see on our site may be more interesting for you. Of course you are free to block the storage of cookies at any time ’ profiling, without the opportunity to visit the site and use of its content is in any way impaired. If you decide to disable behavioral advertising does not mean that you will no longer receive advertising on the site. However, the banners that you see on the site may not reflect your interests or preferences on the browser you are currently using. Make your choices carefully. Blocking all cookies indiscriminately, including technical ones, without providing a specific exception for the site, You may, In fact, no longer be able to browse the site or to use all or part of its functionality. In addition, deleting all cookies from your browser, cookies that technicians could be removed and, Therefore, You may remove the preferences that you set by using the site or do not find more products or services placed in your shopping cart. To disable the cookies from first-party profiling, i.e. those installed directly from us, You can simply use the interactive button that appears in paragraph D of this policy. Your choice to oppose all ’ using these cookies will not have any effect on the ability to navigate the site and use its functionality, and may be revoked at any time by you using the same interactive button. For disable third party cookies, Please review the privacy policies of third parties who install analytics cookie (see the previous paragraph C) or profiling cookie (see the previous paragraph D) to learn about other tools at your disposal to handle, disabilitare e cancellare i cookie, and more generally to object to their use. Remember that, disabling third party cookies, (the) you oppose their use not only myself but on all Internet sites on which these cookies are used and (II) the ability to navigate the site and use its functionality will not be in any way affected. When you disable third-party cookies you'll see anyway the banner in ’ cookie website home page; In this case, though, closing the banner, scrolling l ’ homepage or by clicking any element of ’ outside the home page banner, you will not receive any third party cookies that you have successfully disabled. Your Online Choices is a website run by the non-profit association ’ European Interactive Digital Advertising Alliance (EDAA), the Italian version of which can be reached at ’ address www.youronlinechoices.eu/it/, that provides information about the cookie-based behavioral profiling (http://www.youronlinechoices.com/it/a-about) It allows Internet users to object easily (opt-out) all main installation ’ profiling cookie installed by advertisers and used on Internet sites (http://www.youronlinechoices.com/it/le-your-choices). Before using this tool, We suggest that you carefully read the terms and conditions of the site Your Online Choices (http://General-www.youronlinechoices.com/it/condizioni-of-service), frequently asked questions (FAQ) (http://www.youronlinechoices.com/it/faqs) and the ’ user guide (http://www.youronlinechoices.com/it/help). This site, do not save any personal information directly on our servers. So every intention is delegated to third-party services specified above. Within the meaning of ’ art. 7 del D.lgs. 30 June 2003, n. 196, you have the right to obtain at any moment the confirmation of the existence or not of personal data concerning you and to know their content and origin, verify its accuracy or request its integration or updating, or correction (art. 7 del d.lgs. 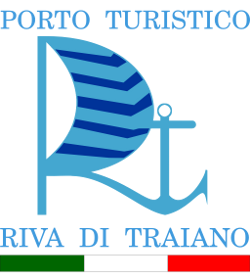 n. 196/2003). You, In addition, the right to request cancellation, the anonymization or blocking of data processed unlawfully, as well as to oppose in any case, for legitimate reasons, to their treatment. Finally, you have the right to get a list of external processors nominated by this site. To exercise your rights, or for any further information or clarification about this statement, contact these companies listed above.